Now you can order your magazines with a hardcover. 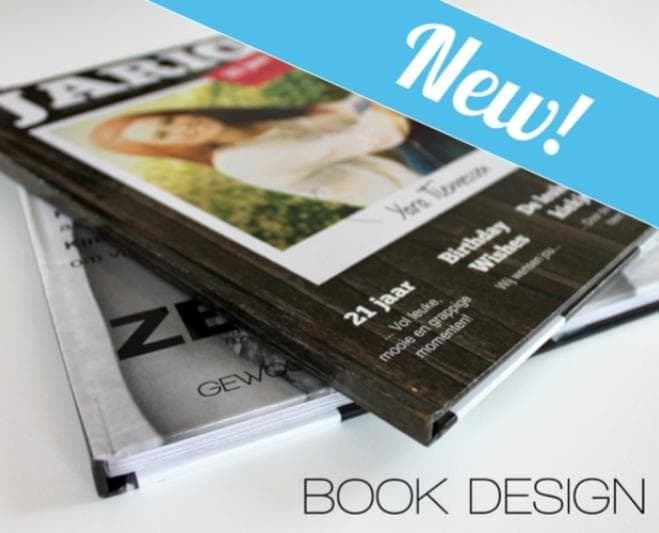 So, not only can you make your very own magazine with Jilster, you can now create a book too (starting from 32 pages)! We love getting feedback and special requests from you, because it helps us make Jilster even better. You’ve been asking us whether it’s possible to order your magazines with a hardcover, and we’re happy to announce that now you can. You can now create and order your own book. You can find more information about this format on our product book page. Ordering a book is easy. Just make your own magazine in our online editor as you normally would, with a minimum amount of 32 pages (for the book format). When you’re ready to order, choose the option ‘Magazine or book’ under ‘Order’ and then select ‘Book’. Your magazine will then be printed with a hardcover. Are you working on a birthday magazine for your grandmother or grandfather? Or maybe a wedding magazine for a sister or a friend? Or how about a magazine for your parents 50th wedding anniversary? Imagine giving them a book with a photo of them on the cover! It promises to be an unforgettable moment an a gift that they will surely treasure for many years to come.